Abstract skyline vector graphics with the JW Marriott Marquis Dubai Hotel aka Park Towers and stylized skyscrapers. 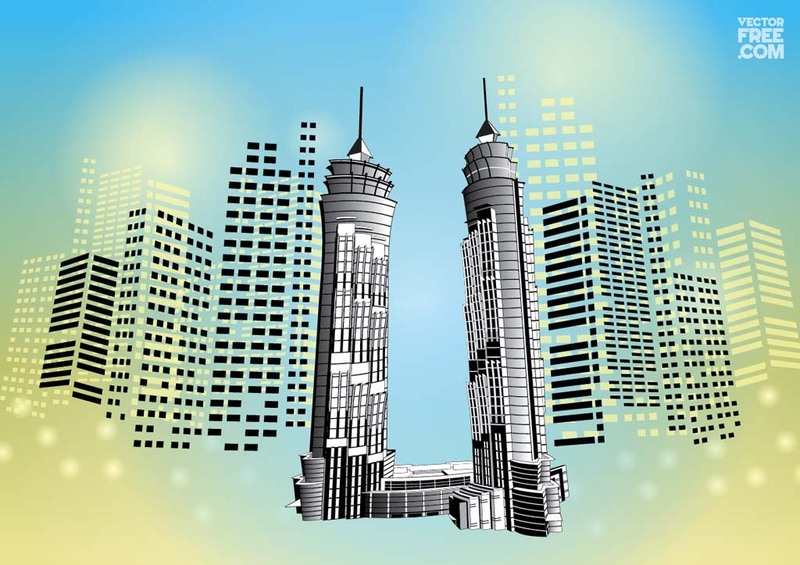 Realistic Illustrator design of the Dubai twin-tower skyscrapers against radiant backdrop. Constructed by the Emirates Group, the Marquis Hotel is a 355 meter high, 72-storey complex with a large banquet hall, conference rooms, restaurants, rooftop bars, business center, health club, spa and swimming pool. High-rise vector illustrations for all city, architecture, construction, travel and tourism themes. Tags: Construction, Emirates, Hotel, Skyscrapers, Twin Towers, Uae.